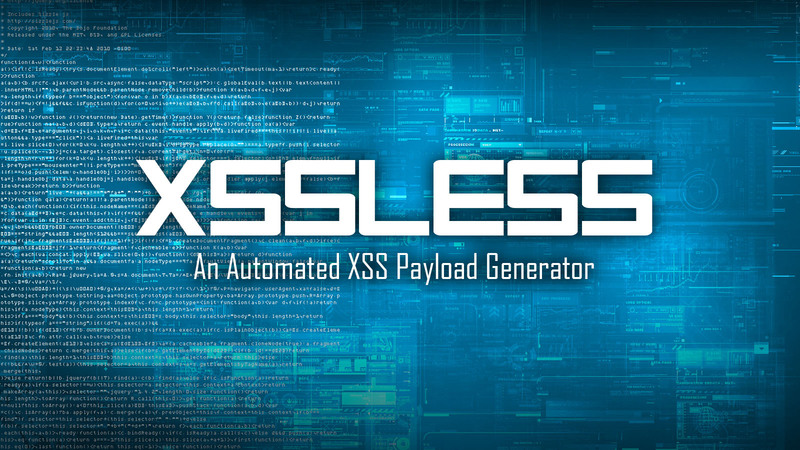 XSSless is an automated XSS payload generator written in python. 2. Select request(s) you want to generate, then right click and select "Save items"
Self-propagation is now supported - meaning you can set a POST value to the payload itself! This is an example XSS payload output (uncompressed) that parses CSRF tokens and uploads a binary all via XSS! -f=FILELIST      File list - input list of POST name/filenames to use in payload.